Hi. 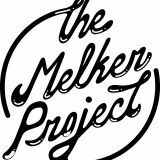 I’m The Melker Project. I am a “mashup and remix artist” based in New York City. I take songs you love and turn them into songs you will love even more. 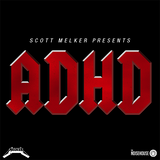 Sometimes people call me Johnny Cashin’ Out, Skeetwood Mac, Booty Huxtable, Skeevie Tricks, A$AP Scotty, Holla Peño, Melkradamus, Melka Flocka Flame, Ricky Exit-Row-Zay, Lil’ Yung Melks. Come to a show and say hi.